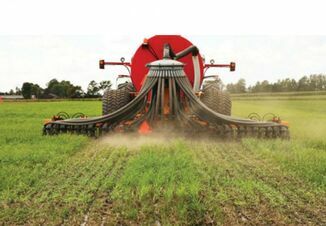 One of the most valuable assets of a farm is the manure produced upon it. It represents fertility which has been drawn from the soil by crops and must be returned to it, if productiveness is to be maintained. It not only adds to the store of plant food in the soil by returning the nitrogen, phosphoric acid and potash removed by the crops, but it also renders the native plant food of the soil more available. He cites the following technologies that ensure farmers are using the 4R Nutrient Stewardship strategy. Most current manure management research focuses on soil health, agricultural sustainability and improving the robustness of our soils to occurrences of drought or heavy rainfall. These subjects often have one thing in common—how to increase soil organic matter as a way to improve soil tilth and structure. 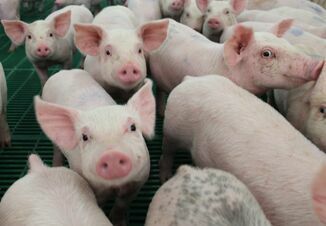 Today, Geographical Information System (GIS) software allows pig farmers the ability to view the manure source and the neighboring fields receiving the nutrients. Every parcel of ground is mapped into the system, including creeks, building sites, terraces or tile outlets. Aerial imagery is used as the base maps and layers are then added for contours, county tile lines, flood area, water sources and public areas. 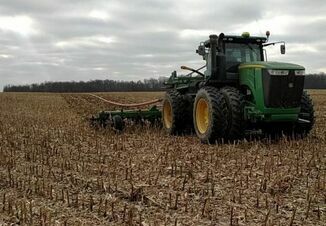 GIS technology ensures manure is applied responsibly and in compliance with all state regulations. Andersen says getting a firm grasp on issues such as manure nutrient content, variability of nutrient content during application, how accurate can farmers hit rate targets, how uniform is the application and how good is the application method will be the subject of continuing research.